Schools offering YAI certified Teachers Training Courses are available in many parts of the world including Greece, Hong Kong, China, Taiwan, Vietnam, France, Spain and the U.K.
Over 100 yoga schools have obtained YAI certification and over 1500 teachers have completed their YAI-certified courses. Algarve Yoga Spot - Escola de Yoga, Portugal. Amazing LYf Project - Hara Willow Healing, U.K.
Karen Ingman School Of Scaravelli Yoga, South Africa and U.K.
Vinieyoga Healing Centre, Off.No.7, Elliots Beach Road, 25th Cross Street, Besant Nagar, Chennai - 600 090. India. Yogashala in Chile, one of the oldest and biggest Yoga centres in Chile, offers TTC certifed by YAI. The premier Institution for Yoga in Iran offers YAI certified TTC. Master Akshar is a Nationally and Internationally acclaimed Yogic Master, Spiritual beacon and Philosopher. He founded a style, Akshar Power Yoga™ and he started teaching in Bangalore, Karnataka where at present he is the Founder and CEO for Akshar Power Yoga™ Academy.His academy is approved by Yoga Alliance International as a Certified School for 200 hours and 500 hour level courses. Yoga Teacher Training at Mcleodganj, Dharamshala and Rishikesh by Shiva Yoga Peeth. Our Yoga Teacher Swami Sudhir, after attending various Indian yoga programs and teaching Thousands of Indian and western people, is now offering Yoga teacher training in Mcleodganj and Rishikesh and guiding the path of preaching the true essence of Yoga and Meditation. He teaches Hatha yoga, Shivananda yog, Ashtanga yog, Kundalini yoga, Mantra yoga and Teacher training course etc. Now he is traveling all over India to spread the knowledge of Yoga; and his aim is to spread Yoga all over the world. Yoga teacher training course starts in Dharamshala and Rishikesh. The Yoga Teacher Training Centre in McLeod-Ganj, Dharamsala, was established in 2000 for imparting quality Yoga Teacher Training, and since then we have been teaching yoga (Ashtanga vinyasa, Hatha & Sivananda Yoga) to people from all over the world. We’ve had the privilege of training over a thousand people in yoga and have now begun offering Dynamic Hatha yoga teacher training course (Known as Power Yoga or Ashtanga yoga. 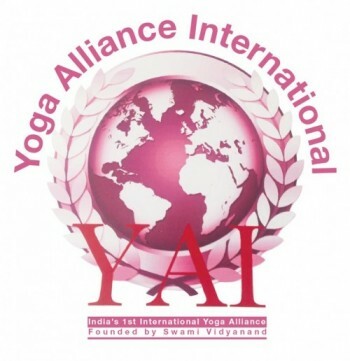 Our School is Yoga Alliance International Certified School for Yoga Teacher's Trainings. We aim not only to train up yoga teachers but to make sure they are well-informed, with the right knowledge, techniques, understanding, practices and confidence. This will enable each of our students to teach yoga and call themselves a yoga teacher or practitioner. YAI recognizes teachers of long-standing and experience directly. Supported by qualified & experienced teachers like Sri Sanjeev Kumar, Sri Rajeev Kumar, and Sri Ravindra kant, under the guidance of Guruji, IGYNTRI offers authentic Yoga courses. Yoga Training School of "Yoga Federation of Russia"(YFR) was established in October 2008. Main goal is to increase qualification of instructors. An entrant should be an instructor only with at least 2 years experience in teaching and a 5-year experience of personal practice. They are sent to School on the recommendation of the YFR regional offices. YFR conducts YAI-certified training courses in conjunction with the Moscow State Academy of Physical Culture. Sivasoorya Divine School of Yoga which imparts spiritual training in the traditional way, with much stress on the rich heredity and heritage, is one of the rarest yoga centres in the whole of India. This school of yoga delves deep into the purport of yoga and its various aspects and offers training in a disciplined and systematic way. The products of this institution are thoroughly capable of organizing classes and training in yoga in a commendable way. "The service of yoga reiterates that one should not get yogic training from a physical yoga teacher of mediocre level. On the contrary, such training shall be acquired from an accomplished spiritual preceptor." Those who complete training from our institution are people really endowed with a rare spiritual spectrum. We commit ourselves to a perceptive mission of the dissemination of the basic principles of yoga sasthra, which we have acquired through years of rigorous, rigid penance and austerity in the inaccessible Himalayan mountain valleys. We ardently welcome one and all to our centre to be part and parcel of the august and enlightened cause. SUSHIL YOGA (RYS 200/500), offers Yoga Alliance International registered Yoga Teacher Trainings Courses (YTTC) at 3 locations in India, banks of Ganges River Rishikesh, beautiful beaches of Goa, Himalayan foothills of Dharamshala. Here at Sushil yoga School. we are proud to be one of the founding contributors and participants in the Maharishi Yoga Vihar foundation(MYVF), an collaborative organization started in 2007 to spread the ancient knowledge of Yoga, Meditation and Ayurveda in traditional form, as a charitable yoga Organization, which is registered under the Indian trusts Registration act 1882. This program is working organization to help poor children in India and organizes yoga workshops, yoga teacher training courses and yoga retreats internationally. Ayurveda, the ancient science of health means "The Knowledge of Life". Inspired by nature itself, the unique and holistic science, addresses the mind, body and soul simultaneously. Thus, becoming a system that not only cures diseases, but works to help people arrive at perfect health.To deliver the advantages of this universal remedy, in complete harmony with nature herself evolved - ANHC. A unique concept which sets you in a restful and relaxing ambience, while the ageless wonders of Ayurveda, are applied by highly qualified professionals. Welcome at Anandam Yoga Center, your center for yoga, yoga holiday and holistic wellbeing! Our center offers yoga classes for beginners, intermediate and advanced students of yoga, Teacher Training Courses and yoga holidays which are especially designed for groups and yoga studios. Amidst lush nature, Anandam Yoga Center is situated on the brink of Rishikesh, at the foothills of the Himalayas and on the banks of affectionately Mother Ganga called River Ganges. The beautiful surrounding offers a fast variety of outdoor and cultural activities, and allows you to simply enjoy deep relaxation on the beaches of Mother Ganga. We teach Hatha and Iyengar style yoga. We teach in English and, on request, in German. Besides, we work in close collaboration with Ayurvedic Doctors and offer individual health and detoxification programs personalized for you.